I would like to share my thoughts about first album from the band Demoniah. Their music style of the band combines heavy and groovy guitars rhythms, levitating leads and some stoner-melodic riffs covered by dirt of sound. You know, it`s kind of album that has some nostalgic death metal approach but on the surface, they just rock on and have a fun of making sweet noise from the bitterness of life, also inspired by Southern metal. The songs are diverse. Guitar lines that they track down sound differently to each other as they perform the songs, and I think that solo guitarists brought quite original music ideas in songs 2,4,6,9. Vocals on the album are little down tuned with sometimes distortions and some; almost-clean sounding vocals as well. You can hear good vocal lines all over the album that fulfill atmosphere of the music everywhere it`s needed. The band has taken many samples from horror movies that they placed between or during the songs. I recognized fragments from Seven, Dracula (Coppola) and there is much more of this kind of stuff which is pretty cool. So yeah, I am glad that Demoniahlizer has many movie hints, and despite their mostly religion character, the album is a bit witchy because of that. The band` lyrics have wider spectrum of various topics if you`d like to dive into it, but it`s a good read by the way. 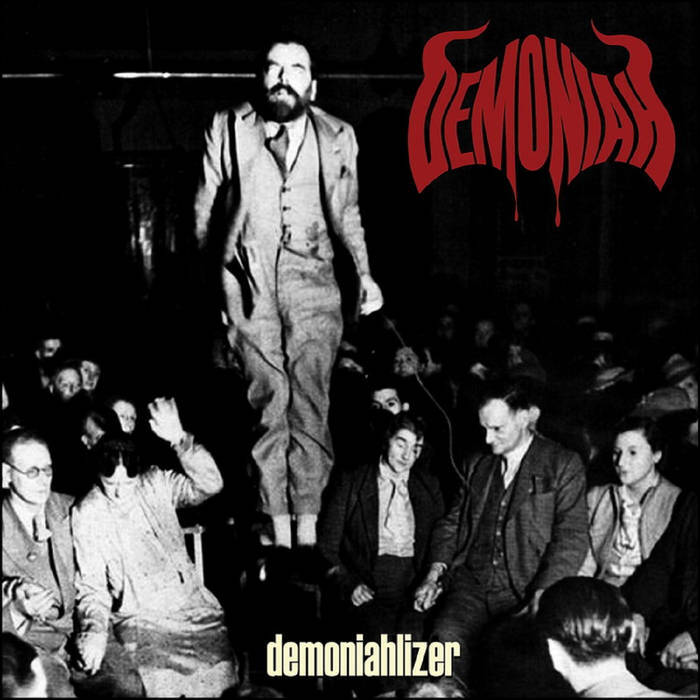 Demoniahlizer reminds me of post-death metal era of Entombed albums and this influence seems quite significant on Demoniah`music, from my perspective. The thing is, Demoniah has not yet managed to bring out a better or even comparable sound for this particular album than the Swedes. I guess, they could not have, because it`s basically home studio record which often has its limitations. The sound should be better I think, but it`s not also bad or anything like that. If you like natural and easy-going music with chills - it`s Demoniah from Brazil and they play death`n`roll metal in your face.